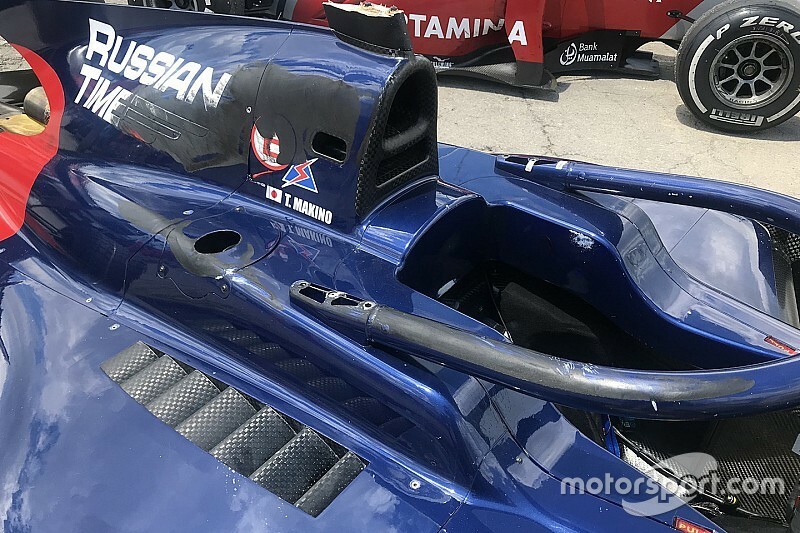 Honda protege Tadasuke Makino has credited the halo with saving his life, after a terrifying Formula 2 crash where Nirei Fukuzumi’s car landed on top of his cockpit. Makino was pushed wide at the exit of Turn 4 by Arden racer Fukuzumi in Sunday's sprint race, who was then launched airborne after the two banged wheels. Fukuzumi’s left-rear wheel hit Makino’s halo, while the engine cover and sidepod were also scarred. Fukuzumi’s car landed next to Makino’s and both went into the gravel. Neither driver was injured. 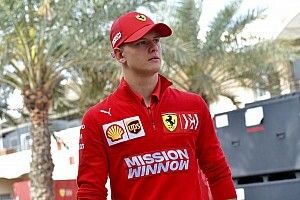 When asked if the halo had saved his life, Russian Time driver Makino told Motorsport.com: “I think so, yeah. "The first time I tested this car I didn’t think the halo was good, because it’s difficult to see anything, but today the halo helped me. It’s really important. Formula 2 race director Charlie Whiting confirmed the incident would be investigated. “Judging by the photos we’ve seen and the accident itself it looks very much as if it could have been a lot worse without the halo," he said. 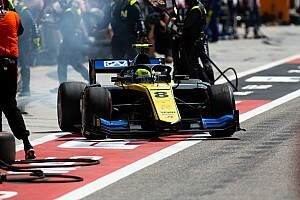 “That’s the preliminary findings but where you see the tyre marks start on the bodywork behind and all the way down the side of the halo, where they start on the halo is exactly where one of the two test loads is applied. F2 feature race winner and Mercedes Formula 1 junior George Russell believes the halo makes it more difficult to judge how much rain is falling during a race. Russell won Saturday’s race for ART Grand Prix, his second win of the season, after rain had spotted the track. 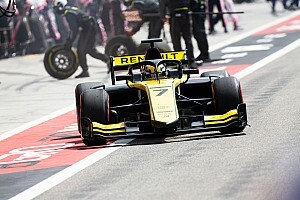 “Carlos Sainz made a good point at the start of the year,” said Russell. “With the halo, there’s less chance of rain touching your visor, potentially the halo is blocking the rain drops and it might be raining harder than you think. “As a driver, that’s our only reference [droplets on the helmet]. Turn 3 and Turn 4 there was a fair bit of rain coming down.